Department of Medicinal Plant Research and Traditional Medicine (MPR&TM) 1, National Institute for Pharmaceutical Research and Development (NIPRD), Idu Industrial Area, P. M. B. 21, Garki, Abuja, Nigeria. Department of Chemistry 2, Modibbo Adama University of Technology Yola, P. O. Box 740, Jimeta, Adamawa State Nigeria. ABSTRACT: Medicinal plants are bioresources harnessed by humans to combat diseases and maintain a healthy life. Plants remain the basis for the development of modern drugs for the preservation of health. Garcinia kola is considered a “wonder plant” because every part of it has been found to be of medicinal importance. 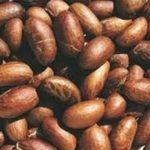 G. kola seed is used as an antipyretic agent in indigenous system of medicine. Pharmacologic studies on the seed, leaf, and root of this plant showed potent antimicrobial, antiviral, antiulcer, anti-inflammatory, antihepatotoxic, antidiabetic, antihypertensive, adaptogenic, aphrodisiac and antiasthma activities. This review highlights detailed pharmacological properties and phytochemistry of G. kola in an attempt to provide direction for further research toward drug discovery. INTRODUCTION: Medicinal plants occupy an important place in the therapeutic arsenal of humans. According to the world health organization over 80% of the world’s population, mostly in poor and less developed countries depend on traditional plant-based medicines for their primary health care needs 1. Infectious diseases are the number one causes of death accounting for approximately one-half of all deaths in tropical countries. Many infectious diseases are known to have been treated with herbal remedies throughout the history of mankind 2. Historically, plants have proved to be a source of inspiration for the discovery of novel drug compounds, as plant-derived medicines have made large contributions to human health and well-being. Plants play a two-fold role in the development of new drugs, namely either as phytomedicine used for the treatment of a disease or as sources of chemical scaffold for the development of new drug molecules 3. For instance, in the last decades, there was increased pharmacological evaluation of medicinal plants that could be of benefit as contraceptive and fertility control agents as many plants were known to have promising contraceptive properties among others 4. Globally, ethnopharmacology and drug discovery using plant-derived natural products remain an important issue 5. Garcinia kola Heckel otherwise called bitter kola belongs to the family Clusiaceae/Guttiferae and is found mainly in the tropical forest region of Central and West Africa 6. It is predominant in the rainforest belt of southern Nigeria 7. Garcinia kola is considered a wonder plant as every part of it is of medicinal importance. The plant is used in folklore remedies for the treatment of ailments such as liver disorder, diarrhea, laryngitis, bronchitis and gonorrhea 8. Extracts from the bark of the plant are used in traditional medicine for treatment of liver cirrhosis and hepatitis 9. It produces brownish yellow gum resin called xanthone that is used commercially as a pigment, and it also has some value in the timber industry. The fruit has been used in Indian cuisines to flavor curries, preserve fish and as a condiment 10. Given the enormous relevance of G. kola in folkloric medicine, the present review focuses on the current experimental research covering the phytochemistry, pharmacology, and therapeutic studies on G. kola toward identification of further research gaps. Pharmacologic Activity of the Plant Garcinia kola: G. kola has antipyretic activity due to the presence of certain phytoactive constituents 11. Studies on the plant indicated it had antibacterial activity against caries causing microorganisms 12. The plant is valuable in the treatment of cough and asthma 13; it has purgative, antiparasitic, antiviral, anti-inflammatory activities; it is used as remedy for guinea-worm infection and the treatment of gastroenteritis, rheumatism, menstrual cramps, bronchitis, throat infection, headache, colic, chest cold, liver disorder, as anti-diabetic, anti-oxidant, antihepatotoxic 14, and anti-trichomonal 15. It has also been reported to possess immunomodulatory activity 16, antimalarial activity 17, inhibition of certain drug metabolism, molluscicidal 18, anti-allergic effect and analgesic properties 19. The seed has pharmacological potency in treating stomachache, gastritis 20, venereal diseases, nervous system disorder 21 and laryngitis 22. The present review aims to highlight the ethnomedicinal uses, phytochemical and pharmacological investigations reported on all parts of Garcinia kola, and to explain the multifaceted role of this medicinal plant. The genus Garcinia includes more than 300 species and belongs to the family Clusiaceae. The genus is a native of Asia and Africa. They are evergreen polygamous trees, shrubs, and herbs. About 35 species are reported to exist in India, many of which are endemic and economically crucial with immense medicinal properties 23. In the Eastern part of West Africa, there are over fifty species of kola. In Nigeria, there are about twenty-three species, out of which five are edible 24. Garcinia kola is a perennial crop growing in the forest, distributed throughout West and Central Africa 25. 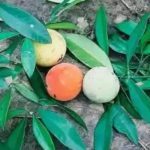 G. kola is also found distributed in the forest zone of Sierra Leone, Ghana, Cameroon, and other West African countries, particularly in Nigeria where it is common in the southwestern states and Edo state 26. Amongst the African genera, Garcinia is characterized by the dioecism of its species and hence its unisexual flowers, the presence of a foveola at the base of the petiole, the peltate stigma, the ovary with a single apical ovule per locule and the berry-like fruit 27. Scientific Classification: Kingdom: Plantae; Division: Magnoliophyta; Class: Magnoliopsida; Order: Theales; Family: Clusiaceae/ Guttiferae; Genus: Garcinia; Botanical name: Garcinia kola Heckel. Vernacular Name: Botanically known as Garcinia kola, commonly called bitter kola and belongs to the family Guttiferae/ Clusiaceae. In Nigeria it is called oje in Bokyi; edun in Edo (Bini); adu in Edo (Esan); efiari in Efik; efrie in Ejagham-ekin; cida goro or namijin goro in Hausa; efiat in lbibio; emiale in Icheve; igoligo in Idoma; akaan in Ijo-izon; okain in Isekiri and orogbo in Yoruba. In Ibo it is called by many names such as aki-ilu, adu, agbuilu, akara-inu, ugugolu, aku ilu, akuruma, ugolo 28. Taxonomy: Garcinia kola has been recognized as an indigenous medicinal plant found in the rain forest of Central and Western Africa, especially Benin, Cameroon, Democratic Republic of Congo, Cote d'Ivoire, Gabon, Ghana, Liberia, Nigeria, Senegal and Sierra Leone 29. Garcinia kola is a medium-sized tree, but sometimes growing up to 12 m tall and 1.5 m wide. 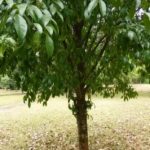 It is a spreading forest tree with dense and heavy crown; the bole is straight, the bark is greenish-brown, thick and smooth. It has broad leaves, 5-10 cm long, paired at the end of twigs, broadly elliptic, very shortly acuminate, cuneate, shiny above and leathery with very distinct resinous yellow canal. The leaf has ten pairs of lateral nerves with very obscure venation between; the midrib is prominent at the underside; petiole is much thickened; the stalk is stout, finely hairy in young leaves. It bears male and female flowers separately, usually between December, March, and May-August. The female flower is yellow and fleshy, globose, 1.5 cm wide; the male flower is smaller but with more prominent stamens (4 bundles), 4 sepals, 4 greenish-white petals. It fruits between July-October 29. 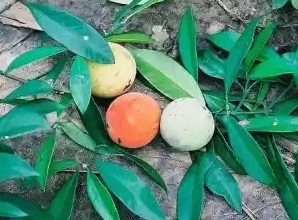 It produces characteristic large fruits (6 cm in diameter), reddish yellow, skin peach-like; containing 3-4 seed coated brown with branched line embedded in an orange-colored pulp; kernels are pale with resin pockets, seeds obtusely 3-sided, up to 3.8 cm by over 1.3 cm, showing a small resinous line when cutting across 30. Phytochemistry: G. kola contains alkaloids, saponins, tannins, flavonoids, glycosides, sterols and phenols 31. The major constituents of the plant are kolaviron, garcinia biflavonoid (GB)-1a-glucoside (1), GB-1a (2), GB-1 (3), GB-2 (4), kolaflavonone (5), benzophenone (6), xanthone (7), coumarin (8), apigenin (9), quercetin (10), garcinoic acid (11), Garcinia in (12). The biflavanones GB1, GB2, GB1a, kolaflavanone and their glycosides, in addition to the seed, were also isolated from the stem bark. The ether soluble fraction of the alcoholic extract yielded apigenin-5,7,4‘-trimethyl ether, apigenin-4‘-methylether, fisetin, amentoflavone, kolaflavanone and GB1 32, the following phytochemicals were isolated from the roots of Garcinia kola, garcinia in 33, phlobatannins, anthraquinones, glucosides 34, garcifuran-A, garcinifuran-B, and two novels aryl benzofurans 35. Alkaloids, flavonoids, anthraquinones, glycosides, tannins, terpenes, steroids and saponins were isolated from the mesocarp of G. kola 36. Hexadecanoic acid, 9-octadecanoic acid, methyl ester, linoleic acid, heptadecane-(8)-carbonic acid, formaldehyde, N, N-Diethyl, n-tetradecanoic acid amide; 3,4,8-trimethyl-2-nonenal were isolated from the seed of Garcinia kola 37. Carbohydrates were separated from the seed 38. The mineral composition of G. kola seeds and hulls has been reported, potassium and phosphorus were the most abundant in the seed, while phosphorus and calcium were the most abundant in the hull. Other constituents include ash, crude protein, crude fiber, crude lipid, water-soluble oxalate, terpenoids, and fat 39. The chemical constituents of G. kola seed and hull had been studied using gas-liquid chromatography and High-Performance Liquid Chromatography. The seed oil composed of fatty acid and amino acid derivatives, namely meristic, pentadecanoic, margaric, trans-palmitoleic, cis-vaccenic, cis-oleic, cis-linoleic, α-linolenic, threonine, tyrosine, methionine, serine, histidine and alanine. The hull yielded the following fatty acid and amino acid derivatives, pentadecanoic, margaric, pentadecanoic, myristoleic, cis-palmitoleic, cis-vaccenic and eicosadienoic, methionine, tyrosine, histidine, and arginine 40. Medicinal Value of the family Clusiaceae: Clusiaceae plants are well known in traditional medicine to treat various illnesses such as cough, menstrual problem, dyspepsia, and renal disease among others 41. Medicinal Value of Garcinia kola: Almost all parts of Garcinia kola are used in traditional system of medicine for the treatment of various ailments in humans. The leaf, seed, bark stem, fruit, and the root of G. kola have significant medicinal properties as described below. Traditional Uses: Garcinia kola is cultivated throughout West Africa for its edible fruit and seeds which are used as rejuvenating agents. Traditionally, the seed of Garcinia kola is used as a sialagogue to stimulate the flow of saliva. The seed coat is widely traded and eaten as a stimulant. It is believed in cleaning the digestive system, without side effects such as abdominal problems, even when a lot of it is eaten. In traditional medicine, the dried seed is ground and mixed with honey to make a traditional cough mixture. The ground seed mixed with water is given to newborn babies to relieve stomach cramps. Garcinia kola seed coat is used as hop substitutes in several indigenous alcoholic drinks as well as a flavor enhancer in the beverage industry 29. Garcinia kola is used as an antidote for snake bites, the remedy for cough, vomiting and as snake repellant. The seed is used in the treatment of diarrhea, bronchitis, and throat infections, liver disorders and enjoys a folk reputation in Africa as a poison antidote. The seed of Garcinia kola has pharmacological uses in treating coughs, throat infection, bronchitis, hepatitis and liver disorders. 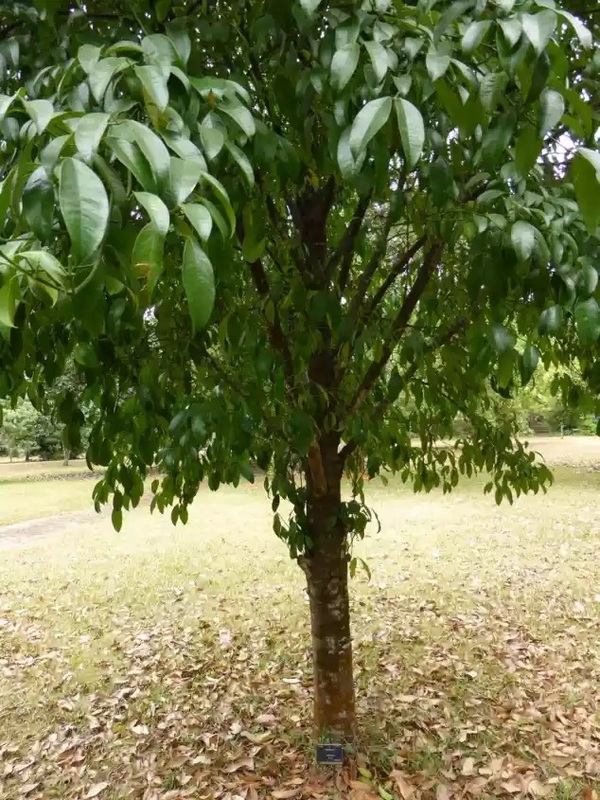 The stem bark serves as purgative, the powdered bark is applied to malignant tumors, the sap is used for curing parasitic skin diseases, and the latex or gum is used against gonorrhea infection and applied externally on fresh wounds to prevent bacteria contamination 29. The twig of G. kola is used as tapers and the root yields chewing stick 25. The leaf of G. kola is used in ethnomedicine for the treatment of tuberculosis 42 and also serves as a remedy for typhoid fever 43. Antimicrobial Activity: Antimicrobial activities of crude extract of Garcinia kola against some bacterial isolates comprising of both Gram-positive and Gram-negative organisms had been reported 44 In another study, the antimicrobial interaction between G. kola seed and gatifloxacin, a fourth-generation fluoroquinolone, was evaluated by a modification of the checkerboard technique 45. The antimicrobial activity of five different solvent extracts of Garcinia kola seed had been investigated against 30 clinical strains of Helicobacter pylori and a standard control strain, NCTC 11638, using conventional microbiological techniques 46. Antibacterial activities of methanol and aqueous extracts of G. kola seeds against 50 Vibrio isolates obtained from final wastewater effluents had been reported 47. The bioactivity of the seed was assessed on Streptococcus pyogenes, Staphylococcus aureus, Plesiomonas shigelloides and Salmonella typhimurium 37. Extracts from the bark, stem, and seed of G. kola have been reported to inhibit the growth of Plasmodium falciparum by over 60% in vitro at a concentration of 6 mg/ml 48. Leaves and stem bark of the plant showed anti-microbial activity 49. A study to investigate the anti-bacterial activity of bitter kola and ginger (Zingiber officianale) on four respiratory tract pathogens, namely Staphylococcus aureus, Streptococcus pyogens, Streptococcus pneumonia, and Haemophilus influenza revealed that the extracts from ginger and Garcinia kola exhibit anti-bacterial activities against the pathogens 50. The effect of aqueous extracts of Garcinia kola seeds on membrane stability of human erythrocytes indicated possible use of the extract for the management of sickle cell. Antimicrobial activity of G. kola seed diethyl ether extract against Pseudomonas aeruginosa; Bacillus subtilis; and Klebsiella pneumonia had been reported. The strongly anti-bacterial and weakly antifungal actions of the extract may be due to activities of the triterpenoid and glycoside components of the extract 51. The methanol extract and fractions of Garcinia kola seed has potential as a new source of antibacterial compounds 37. An active antimicrobial compound was isolated from the active fraction and purified by recrystallization in 50% v/v aqueous ethyl acetate. 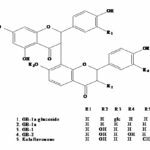 Spectroscopic analysis revealed the isolate to be II-3‐4’‐I‐4’‐5‐II‐5‐I‐7‐II‐7‐heptahydroxy‐3,8‐biflavanone (GB1) previously isolated from the bark and fruits of G. kola 52. Cycloartenol, 24-methylenecycloartanol, and garcinia in isolated from the seeds of G. kola exhibited antimicrobial activity against caries-causing organisms 12. Polyisoprenyl benzophenone, kolanone from the petroleum ether and hydroxyl biflavanols from the ethyl acetate fraction of G. kola seed showed activity against gram positive and gram negative bacteria and Candida albicans and Aspergillus flavus 53. Also, GB1 was active against Streptococcus mutans and other oral bacteria with MIC values of 32-64µg/ml 54. Crude ethanol extracts of G. kola seed demonstrated inhibitory effects on some pathogenic organisms of medical importance. The inhibitory effects shown by the ethanol extracts may be due to the presence of some phytochemical components 55. The antimicrobial properties of ethanol extracts of G. kola seed were attributed to the presence of benzophenone. Research involving the bioassay of fractions of the seed showed mixtures of triterpenes, phenolic compounds, benzophenones, kolanone with potent antimicrobial properties 56, 57. Kolaviron isolated from G. kola demonstrated inhibitory effects against methicillin-resistant, Staphylococcus aureus (MRSA) and vancomycin-resistant Enterococci (VRE) 58. Lack of activities in hexane and ethyl acetate fractions was an indication that the bioactive constituents may be polar, more so as the aqueous fraction of methanol extract showed the best activity. The chloroform fraction had relatively good activity. The anti-trichomonal activity had been reported as a potentially useful therapeutic agent in the control of trichomoniasis 14. Antiviral Activity: Kolaviron has been identified as the specific antiviral bioflavonoid in bitter kola as suggested by both in-vitro and in-vivo studies 59. The bioflavonoids constituents of the seeds of G. kola have shown remarkable broad spectrum antiviral activity against a variety of viruses including puntatoro, pichinde, sandfly fever, influenza A, Venezuelan Equine Encephalomyelitis, HIV-1, and Ebola, with IC50 values of 7.2-32 µg/ml and TMC of more than 320 µg/ml 60. Bioflavonoids from G. kola seed have antiviral activity, remarkable immune boosting and antioxidant property, coupled with its ability to inhibit kinases and several signaling pathways 30, 59. Anti-Inflammatory Activities: The anti-inflammatory activities of flavonoids are complemented by their ability to activate NF-E2 related factor 2 (Nrf2), thus increasing anti-oxidant defenses 61. The analgesic and anti-inflammatory properties of kolaviron, a defatted seed extract of Garcinia kola, was investigated in mice and found to exhibit a weak analgesic but very strong anti-inflammatory activity when compared to a standard reference drug, acetylsalicylic acid. The activity of Kolaviron may not be unrelated to the presence of the bioflavonoid group. The bioflavanones of G. kola are pharmacologically active with several pharmacokinetic advantages over simple monomeric flavonoids. The traditional use of G. kola in the management of inflammatory conditions is justified. 62 Kolaviron from the seed of G. kola had been shown to interfere with LPS signaling by reducing the activation of several inflammatory transcription factors and signaling pathways 63. Anti-Diabetic Activity: The hypoglycaemic and hypolipidaemic effects of fractions from kolaviron were investigated in normal and streptozotocin (STZ)-induced diabetic rats 64. G. kola seed powder had also been shown to have antidiabetic, antilipidemic and anti-atherogenic properties with tremendous potential to protect against coronary heart disease 22. Significant hypoglycaemic and hypolipidemic activity of Garcinia kola in alloxan-induced diabetic rats had been reported 65. Kolaviron inhibited rat lens aldose reductase activity with an IC50 value of 5.4 × 10-6 M 66. Kolaviron reduced blood sugar levels in STZ-induced diabetic rats within 4 h of oral administration and showed a favorable effect on the plasma lipid profile of diabetic animals 64. In addition to its antidiabetic property, kolaviron showed remarkable protective effects on cardiac, renal and hepatic tissues of STZ-induced-diabetic rats. Many antidiabetic drugs do not offer significant tissue-protective effect in diabetic animals as kolaviron 67. Kolaviron treatment of diabetic rats restored the activities of antioxidant enzymes, reduced lipid peroxidation and increased oxygen radical scavenging capacity and glutathione concentration in renal tissues. Garcinia kola seed powder dose-dependently reduced blood glucose level and improved lipid profile; showed indication of an antidiabetic agent with potent cardioprotective effect 22. Kolaviron at 100 mg/kg significantly ameliorated hyperglycemia and liver dysfunction. It also prevented diabetes-induced increase in the hepatic levels of proinflammatory cytokines, interleukin (IL)-1beta, IL-6, tumor necrosis factor (TNF-α) and monocyte chemotactic protein (MCP-1) 68. Quercetin, one of the chemical constituents of Garcinia kola seed protected against high glucose-induced damage in bone marrow-derived endothelial progenitor cells 69. Antioxidant Activities: Antioxidants are known to terminate chain reactions in lipid peroxidation, by removing free radical intermediates, and inhibit other oxidation reactions. The body’s internal production of antioxidants is not sufficient to neutralize all the free radicals, hence there is a need for additional dietary intake of antioxidants to maintain health and prevent diseases associated with free radicals 70. Reactive Oxygen species (ROS) generated endogenously or exogenously are associated with the pathogenesis of various diseases such as atherosclerosis, diabetes, cancer, arthritis and aging process. Thus, antioxidants which can scavenge ROS are expected to improve these disorders. Saponin extract from the root of Garcinia kola exhibit significant inhibition of MDA production and cause a significant elevation of free radical scavenging enzyme activities such as SOD and Catalase 71. The leaf extract of Garcinia kola produced an antioxidant effect and protective response against the destructive effects of free radicals on both brain and liver 72. The phytochemical contents of the seed extracts of G. kola show that it is rich in phenolic acids, flavonoids and vitamin C. Antioxidant potentials of plants are assessed by their ability to scavenge DPPH (1,1-diphenyl–2-picrylhydrazyl) radicals. Moreover, antioxidants can act by chelating transition metals. Antioxidants could reduce and deactivate transition metals. Besides, sodium nitroprusside elicits its cytotoxic effect through the release of cyanide and/or nitric oxide (NO) both of which have been implicated in the pathophysiology of strokes, traumas, seizures and Alzheimer's, and Parkinson's diseases. Comparatively, the ethanol extract of G. kola exhibited higher antioxidant properties than the aqueous extract 73. Antioxidant property of G. kola is attributed to its very high content of ascorbic acid 74. Antioxidant potential of five fractions (ME1–ME5) of methanolic extract of G. kola seeds was studied. ME4 fraction possessed the most significant activities. Fraction ME4 strongly inhibited nitric oxide production in lipopolysaccharide-activated macrophage U937 cells. Hepatoprotective Activity: G. kola has a protective effect against a variety of experimental hepatotoxins. Anti-hepatoxic efficacy of this plant seed was due to its kolaviron content 77. Garcinia bioflavonoids protected against hepatotoxicity induced by phalloidin, amanita, 2-acetylaminofluorene, carbon tetrachloride, paracetamol, aflatoxin, dimethylnitrosamine in rodents 32. Even at 500 mg/kg G. kola did not cause significant degenerative or trophic changes in liver cells. Hepatic lobules which are polyhedral three dimensional in shape were preserved 77. G. kola seed boosted the antioxidant status and did not cause an adverse effect on liver, testes, and spermatozoa of rats 78. G. kola seed alleviated the hepatic degenerative changes associated with ciprofloxacin. The hepatoprotection exhibited by G. kola seed as an adaptogen is generally ascribed to the presence of constituents with antioxidant properties 79. G. kola extract at 60 mg/kg significantly protected against damages caused by exposure to hepatotoxic antitubercular drug 80. Kolaviron protected against carcinogen-induced hepatotoxicity by free radical scavenging, metal chelation, upregulation of the detoxification system, down-regulation of NF-KB 81. Saponin extract from the root of Garcinia kola protected the structural integrity of hepatocytic cell membrane and enhanced regeneration of the damaged liver cells. It exhibited reasonable hepatoprotective ability against paracetamol-induced hepatotoxicity 82. The ability of G. kola seed extract to attenuate the raised serum levels of liver marker enzymes is an indication of its hepatoprotective potential 83. Glycogen granulation is a function of the liver which can be inhibited as a result of hepatotoxicity. Hepatoprotective effects of Garcinia kola seed against paracetamol-induced oxidative damage and glycogen degranulation in hepatocytes of rats had been reported 84. G. kola seeds had been reported as a potential preventive agent for coronary heart diseases 85. Antiarthritis Activity: Garcinia kola seed acts as an antioxidant to either inhibit or slow down the progression of symptomatic knee osteoarthritis. It also serves as a scavenger to remove the particles on the surface of human articular cartilage following trauma and osteoarthritis. The particles contained calcium and phosphorus which were identified only in structurally abnormal cartilage. Bitter kola has been shown to protect against the oxidation of lipoprotein, presumably through the mechanisms involving metal chelating and antioxidant activity. The relief of pain experienced by arthritis patients on Garcinia kola could be associated with either removal of free radicals and or revascularization of subchondral bone through the anti-atherogenic effect. It may be due to the cytokines selective inhibition of inducible nitric oxide synthase which has been shown to reduce the progression of experimental osteoarthritis in-vivo 86. Kolaflavanone and apigenin which are major phytoconstituents of Garcinia kola had been reported to exhibit antiarthritis activity 87. Reduction of intraosseous/subchondral pressures could lead by other pathways for reduction of knee pain experienced by patients on Garcinia kola. The ability to lower intraocular pressure was observed in glaucoma patients and confirmed scientifically in animals and human glaucoma. G. kola induces vasodilatation which could improve the subchondral blood circulation in knee osteoarthritis. G. kola had been shown to have antithrombotic activities. G. kola is a potential osteoarthritis disease modifier 86. Anti-Ulcer Activity: The anti-ulcer effect of petroleum ether extract of G. kola had been reported 88. G. kola contains tannins which are known to have antiulcer properties 89. Flavonoids have been implicated as possible bioactive agents responsible for antiulcerogenic effects 90, 91, 92. Garcinia kola extract produced a significant decrease in the ulcerogenic indices, morphological damage score, ulcer score, and gastric wall thickness which are indications of ulcerogenic potentials 93, 94. It has been documented that gastritis and gastric ulcers are associated with stress. G. kola extract prevented lipid peroxidation by increasing the enzymatic anti-oxidants, catalase and superoxide dismutase levels and reducing malondialdehyde, lipid peroxidation index. G. kola extract had previously been shown to improve oxidative status 94, 95a, 95b, 96. Flavonoids have been reported to inhibit isoforms of inducible nitric oxide synthase (iNOS) and of cyclooxygenase (COX-2) which are responsible for the synthesis of prostaglandins and nitric oxide, as well as reactive C-protein and adhesion molecules, mediators of inflammation 61. The flavonoids present in the methanolic extract of Garcinia kola might be responsible for enhancing the oxidative defense mechanisms which led to a significant reduction in the ulcerogenic and inflammatory indices. Kolaviron from Garcinia kola at 200 mg/kg reduced the incidence of ulcers. Kolaviron inhibited the H+, K+-ATPase activity with IC50 of 43.8 mg /ml compared with omeprazole with IC50 of 32.3 mg/ml. Kolaviron showed both cytoprotective and anti-secretory potentials against peptic ulcer models, and pump inhibitory activity 97. Anti-Hepatotoxic Activity: G. Kola protected the liver from heavy metal toxicity in rats 98. Kolaviron inhibited dimethyl nitrosamine-induced hepatotoxicity by suppressing COX-2 and iNOS expression 99. Antihepatotoxic properties have been evaluated using four experimental toxins, namely carbon tetrachloride, galactosamine, alpha-amanitin and phalloidin. Kolaviron, a fraction of the defatted ethanol extract and two bioflavonoids of G. Kola seed (GB1 and GB2) significantly modified the action of all these hepatotoxins 100. Anti-Asthma Activity: Xanthone has anti-asthmatic activity by dependently inhibiting the Ca2+ influx induced by either norepinephrine or high K+, suggesting that xanthone might act as a blocker of both receptor-operated and voltage-dependent Ca2+ channels. Furthermore, xanthone causes an increase in the level of intracellular cyclic adenosine 3’,5’-monophosphate (cAMP) but not cyclic guanosine 3’,5’-monophosphate (cGMP) content. Xanthone showed inhibitory effects of cAMP phosphodiesterase. Intracellular levels of cAMP can be increased by β-adrenoceptor agonists, which increase the rate of its synthesis by adenyl cyclase (AC) inhibitors such as xanthone, which slow the rate of its degradation. Flavonoids exhibit anti-asthmatic activity by inhibiting platelet-activating factor (PAF), phospholipase A2, (PLA2) and phosphodiesterase (PDE). Flavonoids show a preference to inhibit histamine release stimulated by IgE-dependent ligands. Copper, a metal transition, most effectively block the inhibitory activity of flavonoids, possibly through a chelation mechanism. Flavonoids inhibit phospholipids metabolism and 5-lipoxygenase (5-LO). These 5-LO products mediate constriction of airway smooth muscle, leukocyte chemotaxis, and vascular permeability. G. kola appears to be very promising in the treatment and management of asthma 13. Anti-Hypertensive Activity: G. kola reduced glutathione concentration and also inhibits prostaglandin synthesis. G. kola has a spasmolytic effect on gastrointestinal smooth muscle. It relaxes the smooth muscles of the uterus and gastrointestinal tract. It has been reported to stimulate histamine-dependent gastric acid secretion. Antithrombotic activity of G. kola has also been reported. Aqueous extract of the plant stabilized the membranes of HbAA, HbAS and HbSS human erythrocytes and reduced blood viscosity 101. The effect of G. kola on blood pressure has been traced to its ability to reduce total peripheral resistance either by direct or indirect action on the vascular smooth muscle. It has been observed that Ryanodine lowered mean arterial pressure and suppressed basal heart rate. This may be via a calcium chelating mechanism as it is known that most flavonoids are anti-nutrients, removing cholesterol, calcium, and glutathione from the blood. Also, the removal of glutathione from the blood could help the vasodilatation of the resistant vessel as it has been observed that reduced glutathione level improved coronary endothelial vasomotor function by potentiating the vasodilator function of Nitroglycerine. Membrane stabilization and reduction of blood viscosity is another possible way by which G. kola may reduce blood pressure. It also contains a vasoactive ingredient, which is capable of lowering blood pressure 101. Anti-Cancer Activity: Tannins had been observed to have remarkable activity in cancer prevention. 89 Cardiac glycosides had been reported as novel cancer therapeutic agents 102. A dietary pattern rich in lignin, quercetin, and resveratrol such as G. kola decrease the risk of oesophageal cancer 103. G. kola contains allicin which had been reported to inhibit TNF-α-mediated induction of VCAM-1 through blocking ERK1/2 and NF-kB signaling pathways and enhancing interaction between ER-α and p65, leading to the suppression of invasion and metastasis of MCF-7 cells. Therefore, allicin could be useful for preventing the advancement of breast cancer 104. Apigenin also present in G. kola seed is helpful for cancer prevention 105. Apigenin promotes apoptosis, inhibits invasion and induces cell cycle arrest of T24 human bladder cancer cells 106. Kolaviron effectively suppressed dimethylhydrazine induced colon cancer in rats 107. Caffeine and caffeic acid both of which are constituents of G. kola seed inhibit growth and modify estrogen receptor and insulin-like growth factor receptor levels in human breast cancer 108. Also, lycopene and beta-carotene induce cell-cycle arrest and apoptosis in human breast cancer line 109. Other Activities: G. kola extracts showed anti-fungal activity 110. G. kola seed possesses anti-conceptive and weak estrogenic properties 111. G. kola seed had been shown to have numerous pharmacological properties including antifertility effect, hematological effect 112 and antiemetic effect 113. Kolaviron protects against ischemia/reperfusion injury 114. G. kola seed had been reported for the management of sickle cell anemia 115. The bark of G. kola tree has been documented to possess aphrodisiac activity 116.. G. kola seed has anti-progestational, anti-implantation and anti-ovulatory effects in female rats. Methanolic extract of G. kola seed exhibited anti-contraceptive and weak estrogenic properties. 117 G. kola seed meal fed to rabbit increased the white blood cell count of rabbit bucks; especially the lymphocytes, thereby increasing their immunity 118. CONCLUSION: The therapeutic efficacy of G. kola has been established through modern testing and evaluation in different disease conditions. These studies placed this indigenous drug plant as a novel candidate for bioprospecting and drug development for the treatment of diseases, such as diabetic, asthma, ulcer, infectious diseases, cancer, and inflammatory conditions. The medicinal applications of this plant and the countless possibilities for further investigation are enormous. The plant is rich in phytochemicals with numerous therapeutic applications. IUCN and WWF: Guidelines on the conservation of medicinal plants, IUCN Gland, Switzerland 1993; 1: 4-6. IWU MM, Duncan AR and Okunji CO: New antimicrobials of plant origin. Perspectives on new crops and new uses 1999: 457-462. Ebomoyi MI and Iyawe VI: Peak respiratory flow rate (PER) in young adult Nigerians following indigestion of Garcinia kola (Heckel) seeds. African Journal of Biomedical Research 2000; 3: 187-189. Farnsworth NR, Bingel AS, Cordell GA, Crace FA and Fong HS: Potential value of plants as a source of antifertility agents. Indian Journal of Pharmaceutical Sciences 1980; 64: 535-582. Patwrdhan, Vaidya ABD and Chorghade M: Ayurveda and natural products drug discovery. Current Science 2004; 86: 789-799. Uko OJA, Usman A and Ataja AM: Some biological activities of Garcinia kola in growing rats. Veterinarski Arhiv 2001; 71: 287-297. Agada PO and Braide VB: Effect of dietary Garcinia kola seed on selected serum electrolytes and trace metals in male albino rats. Nigerian Journal of Physiological Sciences 2009: 53-57. Adesina SK, Gbile ZO, Odukoya OA, Akinwusi DD, llloh HC and Yeola AA: Survey of useful indigenous plants of West Africa with special emphasis on medicinal plants and issues associated with management. The United Nations programme on natural resources, Africa. 2nd Edition 1995: 84-85. Iwu MM, Onwuchekwa UA and Okuni CO: Evaluating the antihepatotoxic active of biflavonoid extract (kolaviron) of Garcinia kola seeds in-vitro. Pharmaceutical Biology 1987; 40: 107-116. Mahanat SB, Ganguly AN and Dash NP: Review steroid saponins. Phytochemistry 1982; 21: 959-978. Kakjing D, Uguru FMO and Nnamonu NL: Antipyretic activity of Garcinia kola seed extract. Europian Journal of Medicinal Plants 2014; 4: 511-521. Ajayi TO, Moody JO, Fukushi Y, Adeyemi TA and Fakeye TO: Antimicrobial activity of Garcinia kola (Heckel) seed extract and isolation constituent against caries causing microorganism. African Journal of Biomedical Research 2014; 17: 165-171. Ebomoyi MI and Okojie AK: Physiological mechanism underlying the use of Garcinia kola Heckel in the treatment of asthma. African Journal of Respiratory Medicine 2012; 8: 5-8. Braide VB: Anti-hepatotoxic biochemical effect of kolaviron a biflavonoid of kola. Phytotherapy Research 1991; 5: 35-37. Ibikunle GF and Ogbadoyi EO: Pharmacological evaluation of Garcinia nuts for anti-trichomonal activity. International Journal of Parma and Bio-Sciences 2011; 2(2): 264-269. Nworu CS, Akah PA, Esimone CO, Okoli CO and Okoye FBC: Immunomodulatory activities of kolaviron a mixture of three related bioflavonoids of kola Heckel. Immunopharmacology and Immunotoxicology 2008; 30(2): 317-332. Oluwatosin A, Tolulope A, Ayokulehin K, Patricia O, Aderemi K, Catherine F and Olesegun A: Antimalarial potential of kolaviron, a biflavonoid from kola seeds, against Plasmodium berghei in swiss albino mice. Asian Journal of Tropical Medicine 2014; 7(2): 97-104. 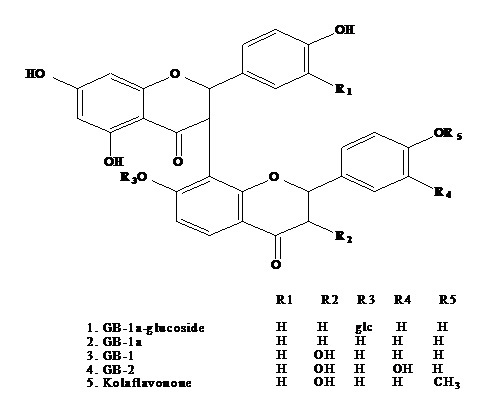 Okunji CO and Iwu MM: Molluscicidal activity of kola biflavanones. Floterapia 1991; 62: 74-76. Ghamba PE, Agbo EB, Umar AF and Bukbuk DN: The effects of diethyl ether and aqueous Garcinia kola seed extracts on some bacterial isolates. Academia Arena 2011; 3(2): 87-94. Ajebesone PE and Aina JO: Potential African substance for hops in tropical beer brewing. Journal of Food Technology in Africa 2004; 9(1): 13-16. Iwu MM: Handbook of African medicinal plants. CRC press, inc., 2000 corporate Blvd., Florida 1993: 167-267. Hemshekhar M, Sunitha K, Santhosh MS, Devaraja S, Kemparaju K, Vishwanatha BS, Niranjana SR and Girish KS: An overview on genus Garcinia: phytochemical aspects. Phytochemistry Reviews 2011; 10: 325-351. Russels TA: The kola of Nigeria and Cameroon. Tropical Agriculture, Trinidad. 32: 210-240, 1955; 32: 210-240. Iwu MM: Handbook of African medical plants CRC press, Bola Raton, FL 1993: 183-184. Eka OU: Chemical composition and use of cola nut. Journal of West African Science Association 1971; 16: 167-169. Marc SM and Daubysg: Contribution to the taxonomy of Garcinia (Clusiaceae) in Africa, including two new species from Gabon and a key to the lower Guinean species. PhytoKeys 2012; 17: 41-62. Burkill HM: The useful plants of west tropical Africa. 2nd Edition, Royal botanic gardens kew 1994: 389-391. 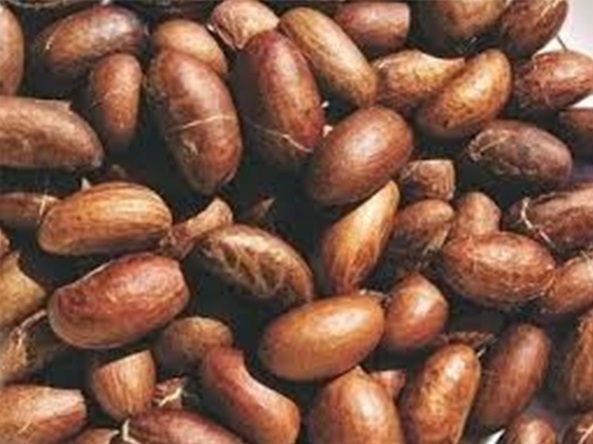 Esiegwu AC, Okoli IC, Emenalom OO, Esonu BO and Udedibie ABI: The Emerging nutraceutical benefits of the African wonder nut (Garcinia kola): A Review. Global Journal of Animal Scientific Research 2014; 2(2): 170-183. Iwu MM, Duncan AD, Okunji CO and Ononiwu IM: Herbal medicinal products used for HIV/AIDS, 2nd International center for ethnomedicine and drug development. BDCP Press 2003: 27-41. Nmaju AU, Biosong SA, Nwankwo AA, Joshua JE and Osim EE: Comparative effects of kola and coffee diets on learning and memory in mice. British Journal of Medicine and Medical Research 2014; 4(2): 731-746. Farombi EO and Owoeye O: Review antioxidative and chemopreventive properties of Vernonia amygdalina and Garcinia biflavonoid. International Journal Environmental Research and Public Health 2011; 8: 2533-2555. Terashima K, Aqil M and Niwa M: Garcinianin, a novel biflavonoid from the root of Garcinia kola. Heterocycles 1995; 41(10): 2245-2250. Madunagu BE, Ekpe ED and Otung IN: Microbiological exploitation of cardiac glucosides and alkaloids from Garcinia kola, Borreria ocymoides, Kola nitida and Citrus aurantifolia. Journal of Applied Microbiology 1991; (71): 398-401. Kelly TR, Szabados A and LeeYJ: Total synthesis of garcifuran The Journal of Organic Chemistry 1997; 62(2): 428-429. Morabandza CJ, Ongoka RP, Matini L, Epa C, Nkounkou LC and Abena AA: Chemical composition of the mesocarp of Garcinia kola Heckel (Clusiaceae) fruit. Research Journal of Recent Sciences 2013; 2(1): 53-58. Seanego CT and Ndip RN: Identification and antibacterial evaluation of bioactive compounds from Garcinia kola (Heckel) seeds. Molecules 2012; 17: 6569-6584. Ukaoma AA, Ukaoma VO, Okechukwu RT and Iwuagwu M: Phytochemical screening and antibacterial properties of kola. The Journal of Pharmacology 2013; 2(3): 34-38. Aniche GN and Uwakwe GU: Potential use of Garcinia kola as hop substitute in larger beer brewing. World Journal of Microbiology and Biotechnology 1990; 6: 323-486. Eleyinmi AF, Bressler DC, Amoo IA, Sporns P and Oshodi AA: Chemical composition of bitter kola (Garcinia kola) seed and hulls. Polish Journal of Food and Nutrition Sciences 2006; 15/56(4): 395-400. See I, Ee GCL, Sin S, Kadir AA and Dauda S: Two new chemical constituents from the stem bark of Garcinia mangostana. Molecules 2014; 19: 7308-7316. Omonike OO and Edith OA: Traditional management of tuberculosis in Ogun state of Nigeria. The practice and ethnobotanical survey. AJTCAM/African network on Ethnomedicines 2010; 7(1): 79-84. Chinyere CE and Ebakota OD: Antibacterial activity of Garcinia kola seed and leaf extracts on some selected clinical isolates. Science Jou of Microbiology 2013: 1-8. Adegboye MF, Akinpelu DA and Okoh AI: The bioactive and phytochemical properties of kola seed extract on some pathogens. African Journal of Biotechnology 2008; 7(21): 3934-3938. Ofokansi KC, Mbanefo AN, Ofokansi MN and Esimone CO: Antibacterial interaction of crude methanol extract of Garcinia kola seed with gatifloxacin. Tropical Journal of Pharmaceutical Research 2008; 7(4): 1159-1165. Collise N, Anthony JA, Anna MC and Roland NN: Crude ethanolic extracts of Garcinia kola seeds Heckel (Guttiferae) prolong the lag phase of Helicobacter pylori: Inhibitory and bactericidal potential. Journal of Medicinal Food 2011; 14(7-8): 822-827. Penduka D, Okoh OO and Okoh Anthony I: In-vitro antagonistic characteristics of crude aqueous and methanolic extracts of kola seeds against some vibrio bacteria. Molecules 2011; 16(4): 2754-2765. 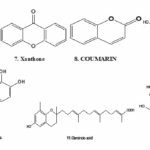 Tona L, Ngmibi NP, Tasakala M, Mesiak K, Cimanga K and Apers S: Antimalarial activity of the extract of 20 crude extracts from nine African medicinal plants used in Kinshasa, Congo. Journal of Ethnopharmacology 1999; 15(68): 193-203. Obuekwe F and Onwukaeme ND: Phytochemical analysis and antimicrobial activities of the leaf and stem bark of extracts of kola (Family Guttiferae), Pakistan Journal of Science Research 2004; 47(2): 160-162. Akoachere JF, Ndip RN, Chewnwi EB, Ndip LM, Njock TE and Anong DN: Antibacterial effect of Zingiber officinale and kola on respiratory tract pathogens. East African Medical Journal 2002; 79(11): 588-592. Lovet EUA, Anastasia UNU and Fredrick AC: Phytochemical screening and antimicrobial evaluation of diethyl ether extract of kola seed. International Journal of Research in Pharmacy and Chemistry 2014; 4(2): 237-242. Gbedema SY, Adu F, Bayor MT, Arhin­sam VE and Annan K: In-vitro antimicrobial study of the efficacy of a toothpaste formulated from kola stem wood extract. International Journal of Pharmacy and Pharmaceutical Sciences 2010; 2: 98-101. Jackie O, Swamy A and Mutuku NC: Preliminary phytochemical and in-vitro control of selected pathogenic organisms by ethanolic extract of Garcinia kola International Journal of Current Microbiology and Applied Sciences 2014; 3(4): 183-196. Hong-xi X, Sumaya M, Oluronke T and Lee SF: Isolation and characterization of an antibacterial biflavonoid from African chewing stick Garcinia kola Heckel (Clusiaceae). Journal of Ethnopharmacology 2013; 147(2): 497-502. Iwu M: Handbook of Africa medical CRC Press Boca Raton 1993: 109-116. Okunji CO, Ware TA, Hicks RP, Iwu MW and Skanchy DJ: Capillary electrophoresis determination of biflavanones from Garcinia kola in three traditional Africa medication formulations. Planta Medica 2002; 68: 440-444. Hussain RA, Owegby AG, Parimoo AG and Waterman PG: Kolanone, a novel polyisoprenylated benzophenone with antimicrobial properties from the fruit of Garcinia kola. Planta Medica 1982; 44: 78-81. Duro D, Hafsat B, Emmanuel OO, Yahaya TA and Adeola SO: Investigating the toxicity and antimicrobial activity of kola extracts. World Journal of Pharmaceutical Research 2015; 4(4): 57-67. Anchang KY, Garba M, Manjong FT and Yvette TT: Potentials of nutritional therapy, phytopharmaceuticals and phytomedicine in the prevention and control of Ebola virus in Africa. American Journal of Clinical and Experimental Medicine 2015; 3(1-1): 1-6. Iwu MM: Ethnomedicine and drug discovery. Amsterdam, Elsevier Science 2002: 191. González-Gallego J, Sánchez-Campos S and Tuñón MJ: Anti-inflammatory properties of dietary flavonoids. Nutr Hosp 2007; 22: 287-293. Olaleye SB, Farombi EO, Adewoye EA, Owoyele BV, Onasanwo SA and Elegbe RA: Analgesic and anti-inflammatory effects of kolaviron ( kola) seed extract. African Journal of Biomedical Research 2000; 3: 171-174. Abarikwu SO: Kolaviron, a natural bioflavonoid from a seed of kola, reduces LPS-induced inflammation in microphages by combined inhibition of IL-6 secretion and inflammatory transcription factors, ERK1/2, NF-kB, p38, AKt, P-c-JUN and JUK. Biochimica et Biophysica Acta (BBA)-general subjects 2014; 1840(7): 2373-2381. Adaramoye OA and Adeyemi EO: Hypoglycaemic and hypolipidaemic effects of fractions from kolaviron, a bioflavonoid complex from Garcinia kola in streptozotocin-induced diabetes mellitus rats. The Journal of Pharmacy and Pharmacology 2006; 58(1): 121-8. Nwangwa EK: Effects of Garcinia kola on the lipid profile of alloxan-induced diabetic Wistar rats. British Journal of Pharmacology and Toxicology 2012; 3(2): 39-42. Iwu MM, Igboko OA, Okunji CO and Tempesta MS: Antidiabetic and aldose reductase activities of biflavones of Garcinia kola. The Journal of Pharmacy and Pharmacology 1990; 42: 290-292. Adaramoye OA: Antidiabetic effect of kolaviron, a bioflavonoid complex isolated from Garcinia kola seeds, in Wistar rats. African Health Sciences 2012; 12(4): 498-506. Ayepola OR, Chegon NN, Brooks NL and Oguntibeju OO: Kolaviron, a Garcinia biflavonoid complex ameliorates hyperglycemia-mediated hepatic injury in rats via suppression of inflammatory responses. BMC complementary and alternative medicine 2013; 13: 236. Li-Rong Z, Yu-jun D, Lei C, Zhi-Gang L, Yue H, Jian FL and Bin L: Quercetin protect against high glucose-induced damage in bone marrow-derived endothelial progenitor cells. International Journal of Molecular Medicine 2014; 34: 1024-1031. Oloyede OI and Afolabi AM: Antioxidant potential of Garcinia kola (leaf). Academic Research International 2012; 2(2): 49-54. Smith YRA and Adanlawo IG: In-vitro and in-vivo antioxidant activity of saponins extracted from the root of kola (bitter kola) on alloxan-induced diabetic rats. World journal of pharmacy and pharmaceutical sciences 2014, 3(7): 8-26. Oloyede OI, Durojaiye O and Adewale OB: Prevention of Fe2+ induced lipid peroxidation by aqueous extract of Kola leaf in some rat tissues. Innovations in Pharmaceuticals and Pharmacotherapy 2013; 1(2): 128-132. Ogunmoyole T, Olalekan OO, Fatai O, Makun JO and Kade IJ: Antioxidant and phytochemical profile of aqueous and ethanolic extract of Garcinia kola. Journal of Pharmacognosy and Phytotherapy 2012; 4(5): 66-74. Okwu, DE: Phytochemical vitamins and mineral contents of two Nigerian medicinal plants. International Journal of Molecular Medicine and Advance 2005; 1(4): 375-381. Tebekeme O: In-vitro antioxidant and free radical scavenging activities of Garcinia kola Food and Chemical Toxicology 2009; 47(10): 2620-2623. Daramola B, Gabriel OA and Osanyinlusi SA: Fraction and assessment of antioxidant activities of active components of kola seed. Journal of food, agriculture and environment 2012; 7(1): 27-30. Galam NZ, Gambo IM, Habeeb AA and Shugaba AI: The effect of aqueous extract of kola seed on liver histology. Journal of Natural Sciences Research 2013; 3(2): 81-87. Farombi EO, Adedara IA, Oyenihi AB, Ekakitie E and Kehinde S: Hepatic, testicular and spermatozoa antioxidant status in rats chronically treated with kola seed. Journal of Ethnopharmacology 2013; 146: 536-542. Esimone CO, Chukwuemeka MU, Nworu S, Okoye FBC and Odimegwu DC: Adaptogen potentials of camellia sinensis leaves, G. kola, and Kola nitida Scientific Research and Assay 2007; 2(7): 232-237. Farombi EO: In:R. Preed, R.R. Watson, and V.B Patel (Eds. ), Nuts and seeds in Health prevention. New York: Elsevier 2011: 221. Oze G, Okoro I, Obi A and Nwoha P: Hepatoprotective role of kola (Heckel) nut extract on methamphetamine-Induced neurotoxicity in mice. African Journal of Biochemistry Research 2010; 4(3): 81-87. Memudu AE, Ibukun DA, Esther E and Adam MA: Hepatoprotective Effects of Garcina kola (Bitter kola) against paracetamol- induced oxidative damage and glycogen degranulation in hepatocytes of adult male wistar rats. Journal of Advances in Biology & Biotechnology 2015; 3(3): 110-116. Nwaneri-Chidozie VO, Anyanwu KC, Adaramoye OA and Emerole EO: Cardioprotective effect of kolaviron in cholesterol-fed rats. International Journal of Pharma Sciences and Research 2014; 5: 96-99. Adegbehingbe OO, Adesanya SA, Idowu TO, Okimi OC, Oyelami OA and Iwalewa EO: Clinical effects of Garcinia kola in knee osteoarthritis. Journal of Orthopaedic surgery 2008; 3: 34. Bader CN, Mir PA and Bhat ZA: Present status of anti-inflammatory and anti-rheumatic phytoconstituents: A review. World Journal of Pharmacy and Pharmaceutical Sciences 2014; 3(11): 272-310. Olaleye SB and Farombi EO: Attenuation of indomethacin- and HCl/ethanol-induced oxidative gastric mucosa damage in rats by Kolaviron, A Natural Biflavonoid of kola Seed. Phytotherapy Research 2006; 20: 14-20. Li H, Wang Z and Liu Y: Review in the studies on tannins activity of cancer prevention and anticancer. Zhong-Yao-Cai 2003; 26(6): 444-448. Alarcón de la Lastra C, Martín MJ, La Casa C and Motilva V: Antiulcerogenicity of the flavonoid fraction from Bidensaurea: comparison with ranitidine and omeprazole. Journal of Ethnopharmacology 1994; 42: 161-168. Izzo AA, Carlo GD, Mascolo N, Capasso F and Autore G: Antiulcer effect of flavonoids: Role of endogenous PAF. Phytotherapy Research 1994; 8: 179-181. Reyes M, Martín C, Alarcón de la Lastra C, Trujillo J, Toro MV and Ayuso MJ: Antiulcerogenicity of the flavonoid fraction from Erica and evalensis Cabezudo-Rivera. Zeitschrift fur Naturforschung 1996; C51: 563-569. Kim HP, Son KH, Chang HW and Kang SS: Anti-inflammatory plant flavonoids and cellular action mechanisms. Journal of Pharmacological Sciences 2004; 96: 229-245. Landberg R, Sun Q and Rimm EB: Selected dietary flavonoids are associated with markers of inflammation and endothelial dysfunction in US Women. Journal of Nutrition 2011; 141: 618-25. Adaramoye OA: Comparative effects of vitamin E and kolaviron on carbon tetrachloride-induced renal oxidative damage in mice. Pakistan Journal of Biological Sciences 2009; 12: 1146-51. Adaramoye OA, Awogbindin I and Okusaga JO: Effect of kolaviron, a bioflavonoid complex from Garcinia kola seeds, on ethanol-induced oxidative stress in liver of adult wistar rats. Journal of Medicinal Food 2009; 12: 584-90. Okoko T: In-vitro antioxidant and free radical scavenging activities of Garcinia kola Food and Chemical Toxicology 2009; 47: 2620-2623. Onasanwo SA, Singh N, Olaleye SB and Palit G: Anti-ulcerogenic and proton pump (H+, K+-ATPase) inhibitory activity of KV from kola Heckel in rodents. Indian Journal of Experimental Biology 2011; 49(6): 461-8. Nwokocha CR, Owu Du, Ufearo CS and Iwuala MO: Comparative study on the efficacy of kola in reducing some heavy metal accumulation in liver of Wistar rats. Journal of Ethnopharmacology 2001; 135(2): 488-91. Farombi EO, Shrotriya S and Surh Y: Kolaviron inhibits dimethynitrosamine-induced liver injury by suppressing COX-2 and InOS expression via NF-KB and ap-1. Life Sciences 2009; 84(5): 149-155. Naiho AO and Ugwu AC: Blood pressure reducing effect of bitter kola in wistar African Journal Biomedical Research 2009; 12(2): 131-134. Terashima K, Takaya Y and Niwa M: Powerful antioxidative agents based on garcinoic acid from kola. Bioorganic and Medicinal Chemistry 2002, 10(5): 1619-1625. Lin Y, Yngve A and Luy LJ: A dietary pattern rich in lignins, quercetin and resveratrol decreases the risk of oesophageal cancer. British Journal of Nutrition 2014; 111(12): 2002-2009. Lee CG, Lee HW, Kim BO, Rhee DK and Pyo S: Allicin inhibit invasion and migration of breast cancer cells through the suppresssion of VCAM-1: Regulation of association between p65 and ER-α. Journal of functional foods 2015; 15: 172-185. Shukla S and Gupta S: Apigenin: a promising molecule for cancer prevention. Pharmaceutical Research 2010; 27(6): 96-78. Yi Z, Yeqing M, Hong C, Yiwei L, Zhenghui H, Jian W, Xin X, Xianglai X, Jie Q and Liping X: Apigenin promotes apoptosis, inhibits invarsion and induces cell cycle arrest of T24 human bladder cancer cells. Cancer Cell International 2013; 13(15): 1-7. Eboh AS, Ere D, Chuku LC and Uwakwe AA: Kolaviron an active biflavonoid of kola extract prevent 1,2-dimethylhydrazine induced oxidative initiation phase of colon carcinogenesis in wistar rats. Journal of Cancer and Tumor International 2015; 2(2): 41-49. Rosendah AH, Perks CM, Zeng L, Simonsson AM, Rose C, Ingvar C, Holly JMP and Jernstrom H: Caffeine and caffeic acid inhibit growth factor receptor levels in human breast cancer. Clinical Cancer Research 2014; 21(8): 1-11. Gloria NF, Borojevic R and Teodoro AJ: Lycopene and beta-carotene induce cell-cycle arrest and apoptosis in human breast cancer line. International Journal of Cancer Research and Treatment 2014; 34(3): 1377-1386. Adefule-Ositelu AO, Adefule AK, Dosa SOS and Onyenefa PC: Anti-fungal activities of Garcinia kola extracts, Nigerian Quarterly Journal of Hospital Medicine 2004; 14(1): 112-114. Essien GE and Nwafor PA: Anti-conceptive, estrogenic and antiestrogenic potentials of methanol extract of kola seed in rodents. Journal of Medicinal Plant Research 2014; 8(42): 1237-1244. Udenze ECC, Braide VB, Okwesilieze CN, Akuodor GC and Odey MO: The effect of gavage treatment with kola seed in a biochemical marker of liver functionality in diabetic rats. Annals of Biological Research 2012; 3(9): 4901-4608. Nosiri C, Alewu B and Abba G: Preliminary study of the antiemetic effect of kola seed extract in young chicks. The Internet Journal of Alternative Medicine 2010; 8(2): 1-5. Ilondu EM and Enwa FO: Commonly used medicinal plants in the management of sickle cell anemia and diabetes mellitus by the local people of Edo State, Nigeria. International Journal of Pharmaceutical, Biological and Chemical Sciences 2013; 2(2):14-19. Singh R, Singh S, Jeyabalan G and Ashraf A: An overview of traditional medicinal plants as an aphrodisiac Journal of Pharmacognosy and Phytochemistry 2012; 1(4): 43-56. Essein GE and Effiong GS: Anti-progestational, anti-implantation and anti-ovulatory potentials of methanolic extract of kola seed in female rats. International Research Journal of Pharmacy and Pharmacology 2014; 4(2): 22-27. Iwuji TC and Herbert U: Haematological and serum biochemical characteristics of rabbit bucks fed diets containing G. kola seed meal. Journal of Natural Resources Research 2015; 5(3): 79-84. Buba CI, Okhale SE and Muazzam I: Garcinia Kola: The phytochemistry, pharmacology and therapeutic applications. Int J Pharmacognosy 2016; 3(2): 67-81. doi: 10.13040/IJPSR.0975-8232.3(2).67-81.